Today Given JACKPOT Call : NIFTY FUT sold 5885 at 11.25 AM……… Target given 5830 Stop Loss 5905………. NIFTY FUT Kissed 5820 at 12.10 PM………. 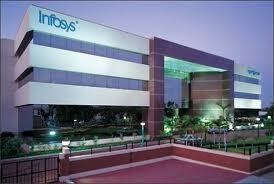 Target Hit within 40 Minutes……..
INFOSYS Wednesday up Rs 60 ( 2% )…….. Volume 1384000 !!!!! Normal Volume 5 lac to 7 lac……….. Somebody Knows Result ????? God’s Know !!!!! NIFTY FUT unexpected moved on Wednesday……….. But again it closed Resistance level……. Now Watch on support at 5885 5870 around….. If break wednesday high 5948 and trades above 5955 again Nifty will ZoooooM 5980 level…………. Today If close above 5955 coming days target 6040 6140………. POLARIS watch on 214 level once if break it will FLYYYYY target 219 222………. Buy if it break the level…………..
HCLTECH now ready to FLY…….. If break the level ????? Which level ??? More update our clients only……..
Nifty Fut Slide 5795 level on Monday……… We are bearish at 5925 level……our first target achived on Monday 5800 our second target 5740………. Now SGX nifty trade 5750 level………..
Now What to Expect ????? Now Close eye on 5740 level once if close below further nifty slide upto 5630 5570 level in coming days……….. or if comes 5880 level again create shorts……..
BHARTIARTL close watch on 365 level if break the level and volume it willllll FLYYYYY target 370 374……. Catch it if u can !!!!!!!! Again market trading choppy……… Yes last Five days Nifty trading at resistance area 5940 around………..
Now What to Expect ???? FLY call PANTALOON watch on 300 level once if break and volume it will Fly………… Target 307 313……….. Catch it if u can!!!!! Above calls it will break the level………. Real FLY will See…….